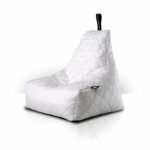 Ladies and gentlemen, allow us to introduce to you the venerable, the illustrious, the legendary Quilted B-bag. 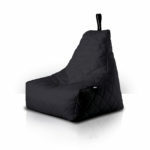 A quilted outdoor bean bag like no other! Mighty in stature and colossal in style, this is beanbag design at its most eminent. We are sure you will agree, honourable loungers and outdoor living nomads, that there has never been a more noble abode for one’s hindquarters. It’s right posh, one might say. 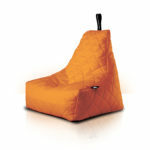 The Quilted mighty-b bean bag comes adorned in one of nine resplendent colours. From Royal for the true blue-blooded loungers, to hunt jacket red, you’ll find the perfect hue for each wing of the house.